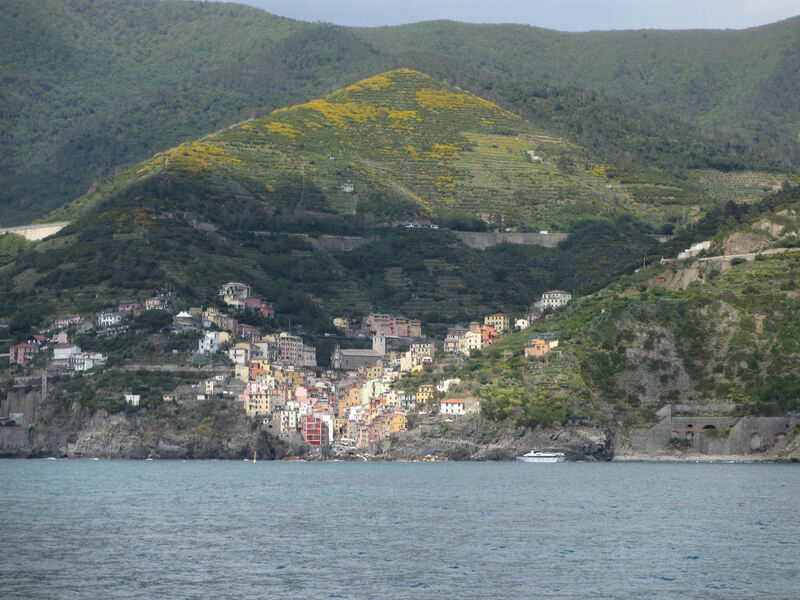 The Cinque Terre coastal villages were introduced last post. But there is something you need to know. The best bit about the 5 Terre is their hill trails. 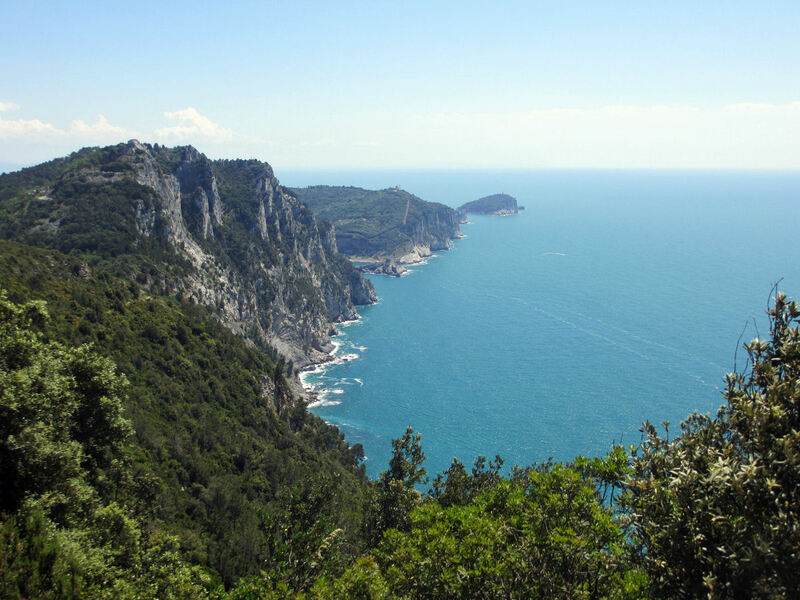 You can walk the 24 miles from Levanto to Portovenere, keep to the wooded hills, and barely touch on the Cinque Terre coast that lies in between. Not only can you do that: if you are in the area, I recommend that you do. 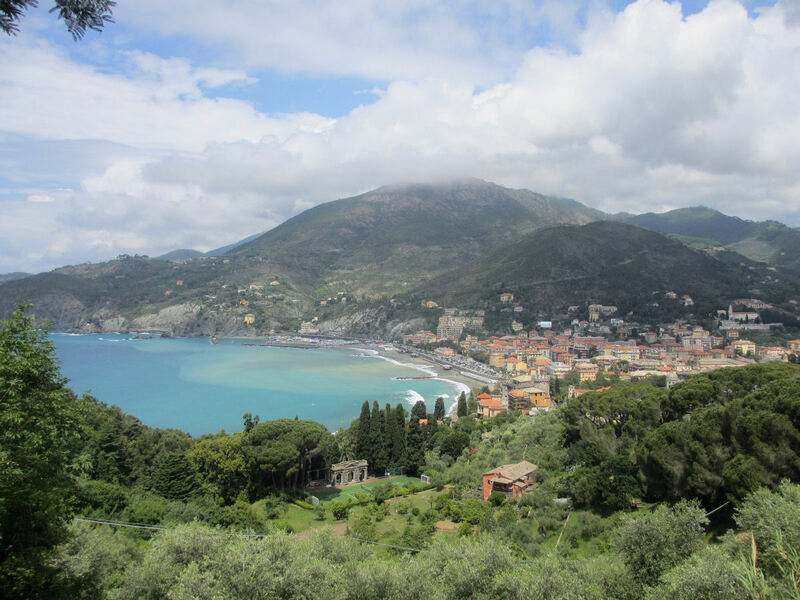 You start in Levanto, a quiet, stately town, refreshingly free of pickpockets and panhandlers - an indication that few foreign tourists visit. Yet it is as nice in its way as the Cinque terre, and includes a good surfing beach. From Levanto, a wooded trail heads up into the hills. Stay high until la Cigoletta. 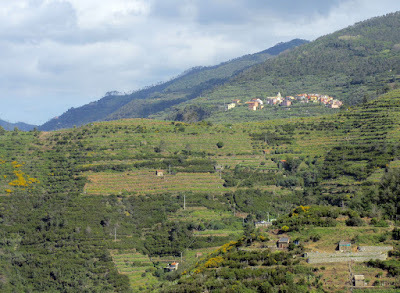 We then headed down towards Manarola via its hill sanctuary, Volastra. There is a good reason to head down, splitting the walk in two. The entire trail is 38km, so doing the whole thing in a day in the Mediterranean heat is a serious undertaking. Also, the trail down from Volastra is beautiful. 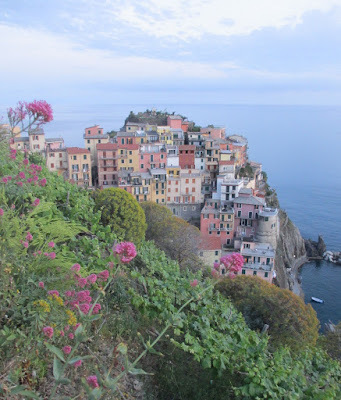 And oh yes, we were staying in Manarola! 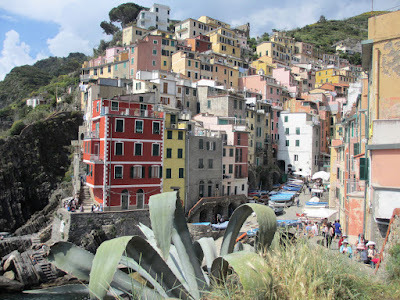 The second day started with a calf-bursting ascent then rapid descent to Riomaggiore, followed by an immediate steep climb out of Riomaggiore towards its sanctuary church of Montenero. In the church a hymn was being sung. As the chorus swelled the hairs on my arms pricked. I had heard that vocal chord change before. That bell had tolled in the distance before. It was a fragment of an Ennio Morricone soundtrack. It was a Spaghetti Western starring Clint Eastwood. Suddenly the cactus that littered the trails made sense. "Where are you going?" said a man behind me. I turned to him, chewing a metaphorical cheroot. "Il Telegrafo." "Where are you going?" The spell was broken. He was oblivious to me, talking into his mobile phone to someone else. Talking in English. At least he was American. 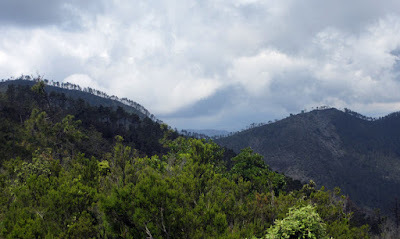 At Il Telegrafo we were back on the hill trail. This is a pleasant forest walk, with far fewer people around. There were fewer views, but a delicious coolness in the shade, the constant scuttle of lizards fleeing our approach. Finally we arrived in Portovenere - a classy town with a big castle, a place that seemed better set up for crowds than the Cinque Terre, perhaps due to its substantial harbour area. A tourist ferry took us back to Manarola. We'd seen far fewer people than on the famous Cinque Terre coastal trail, and had enjoyed the walk more. Do you know what? Reading back on the last two posts, I obviously prefer walking in cool empty areas with no over-charging or petty thieves. Perhaps I should just stay at home. 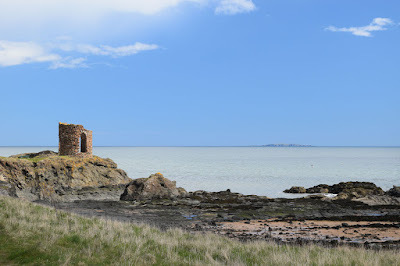 In my last post I told you about Fife's 'Chinque Touns'. But the real 5 Terre are in Liguria, Italy (where the Alps meet the sea). 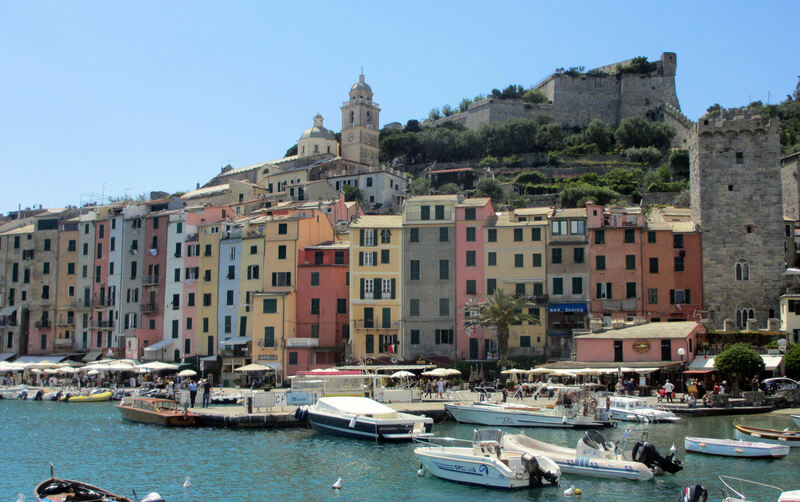 These are the four quaint coastal villages of Riomaggiore, Manarola, Corniglia, Vernazza (plus a fifth relative shitehole, Monterosso - Morcambe Bay with palm trees), heavily pressed by tourists drawn to their colourfully cubist harbours and coastal trails. Perhaps this undersells them. But they inhabit the have-to-be-seen-to-be-believed category of picturesque. With steep Himalayan-style terraced hillsides plunging to the sea, the villages and their terroir together form a UNESCO World Heritage site. 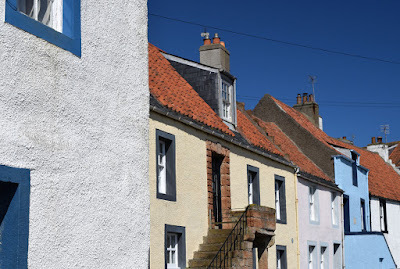 I'm afraid the East Neuk of Fife is not in the same league. 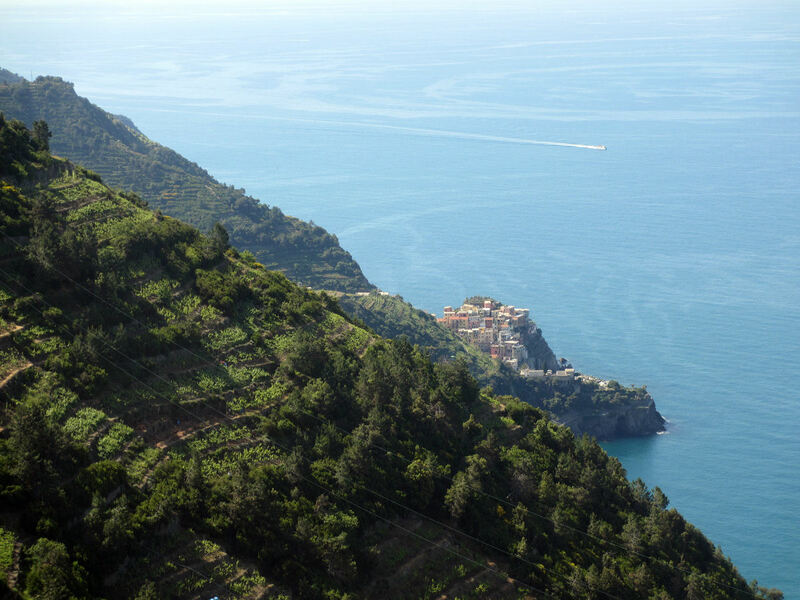 The main draw of the Cinque Terre to someone like me is the walking trails. The most famous trail hugs the coast between Riomaggiore and Monterosso. 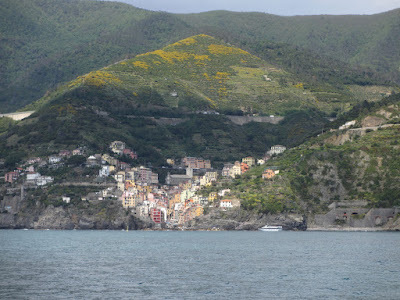 This is flat between Riomaggiore, Manarola, and Corniglia, and with considerable uphills over seacliffs between Corniglia and Vernazza, and between Vernazza and Monterosso. 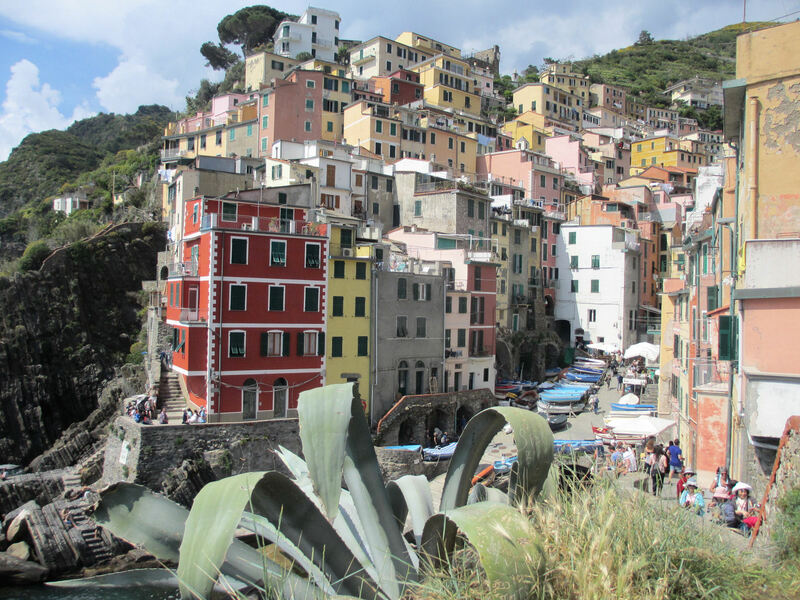 Recent landslides have closed the easy paths between Riomaggiore, Manarola, and Corniglia. You'll still pay EUR7.50/day to hike any remaining parts of the coastal trail. In mercenary moments I have often thought a killing could be made in Scotland. All you need do to get the tourists flocking is set up a well-maintained path with good facilities, publicise it, then charge for access. 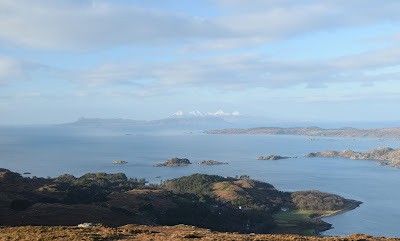 What would a tourist pay for access to the West Highland Way - for all its faults, a better walking trail than the Cinque Terre coast? Perhaps fortunately, charging money to walk in the fresh air is anathema to Scots, an affront to basic freedoms as likely to catch on as alcohol Prohibition. But there is another side to the 5 Terre - the hill trails (it's where the Alps meet the sea, remember?). These are more interesting, relatively quiet, and cost your favourite price - nothing. Excellent! Let's go for a walk. 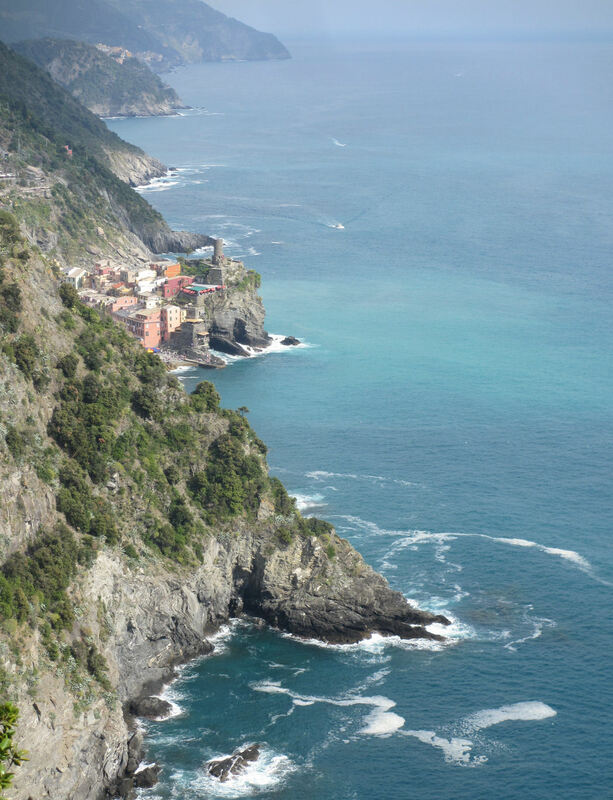 Clinging like limpets to the tumbling Ligurian coast, the Cinque Terre are five incredibly picturesque Italian villages. And it was while walking between Elie and Crail that the thought stuck me. This is Scotland's Cinque Terre! 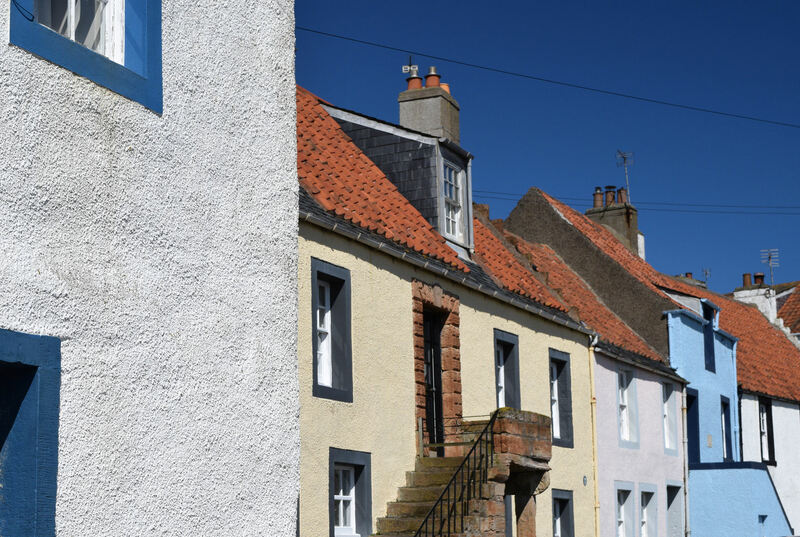 OK, so the East Neuk may not be a world-famous UNESCO World Heritage site, and these pretty villages stand out mainly because they buck the Scottish trend of building unattractive domestic architecture. On the other hand, Elie, St Monans, Pittenweem, Anstruther and Crail do not suffer from the pressure of tourist numbers affecting the Italian Cinque Terre. You can wander the streets and paths unmobbed and unregulated. To a person who likes things fuss-free, this is precious indeed. 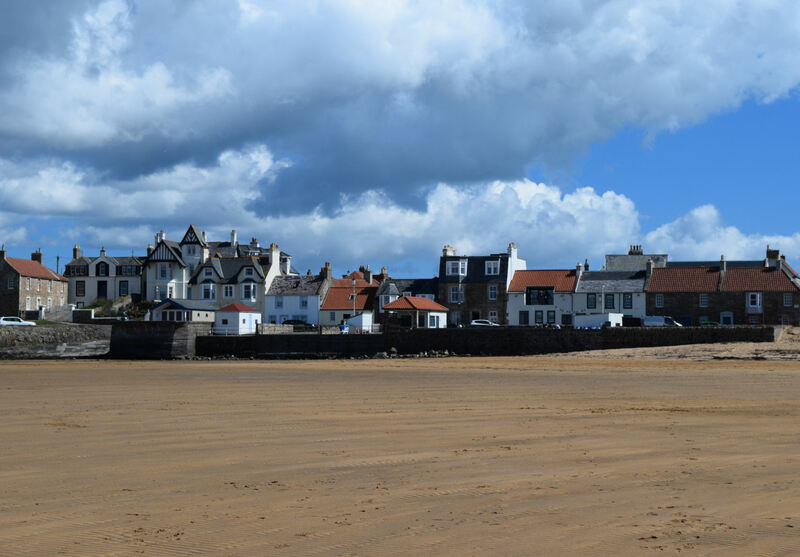 Our walk started in Elie, the only one of Fife's 'Cinque Touns' to boast a significant stretch of beach. Elie is quiet but not undiscovered. It has a reputation as a second-home destination for wealthy Edinburgers. The streets are filled with Mercedes and it has a Michelin-starred restaurant. (Right now a two-bedroom bungalow on the seafront is on the market for over £800,000 - you would pay less in Edinburgh's New Town!) But the fresh air and the seafront walks are free. A scarecrow festival was on, the harbour full of yachts rather than fishing boats, and everything was right with the world. 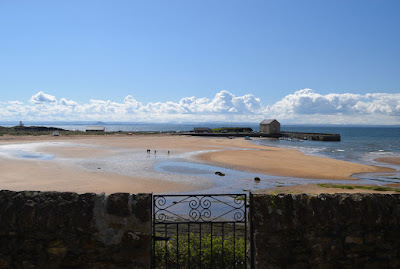 We wandered out to Elie Ness, looked over to the snow on the Moorfoots and sunbathed. We stopped to smell the rich tropical scent of gorse, as sparrows flitted between impenetrable bramble bushes... students were out from St Andrews, enjoying a break from their studies. 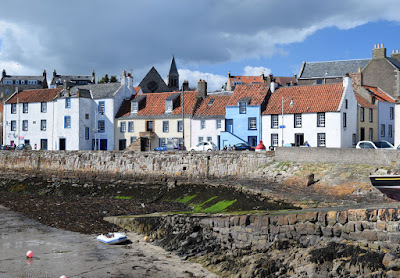 Eventually, we approached St Monans along the earthy path. 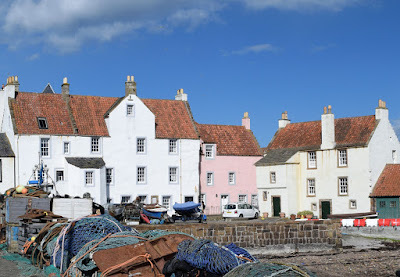 St Monans raises the levels of picturesque to an art. Many houses were restored by the National Trust in their little house improvement scheme. The harbour is a lovely place to while away a some time. We ate ice cream from the local shop and wandered about. 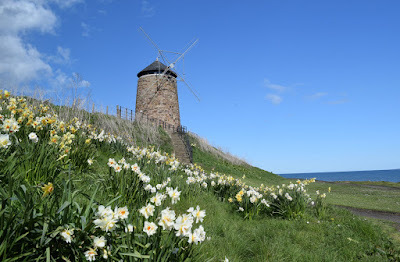 It is a hop of just a couple of kilometres from St Monans to Pittenweem, past a windmill and old salt pans. 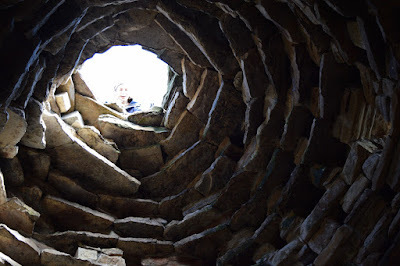 This was an industrial landscape during the Rennaisance and Jacobean times. What was once a dirty industrial site now does its best to stay just on the right side of twee. 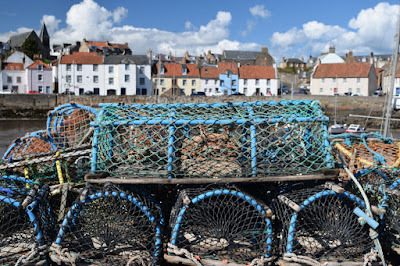 By Pittenweem the afternoon was well advanced. We had spent the whole date bimbling and sunbathing, looking at gable-ends and smelling the spring flowers. A decision was made to curtail our walk two villages short so we could get home in decent time for tea. 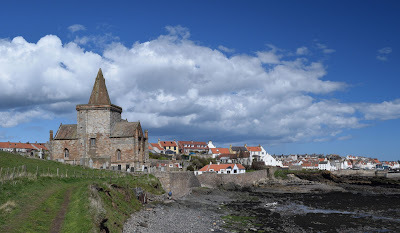 Anstruther and Crail would have to wait. 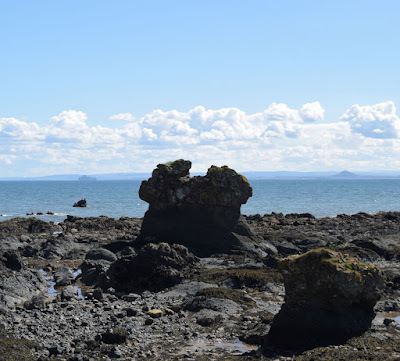 Coastal walking, counter-intuitively, often requires more time for the distance than hillwalking - there is so much more to see!